Save expensive saw blades while protecting yourself from dangerous nails and screws hidden inside new or reclaimed lumber! The Lumber Wizard™ 4 woodworking metal detector is a powerful, precision hand-held unit that detects the presence of metal buried inside wood. A laser light and audible alarm let you know if metal is present, protecting your blades from potential damage. 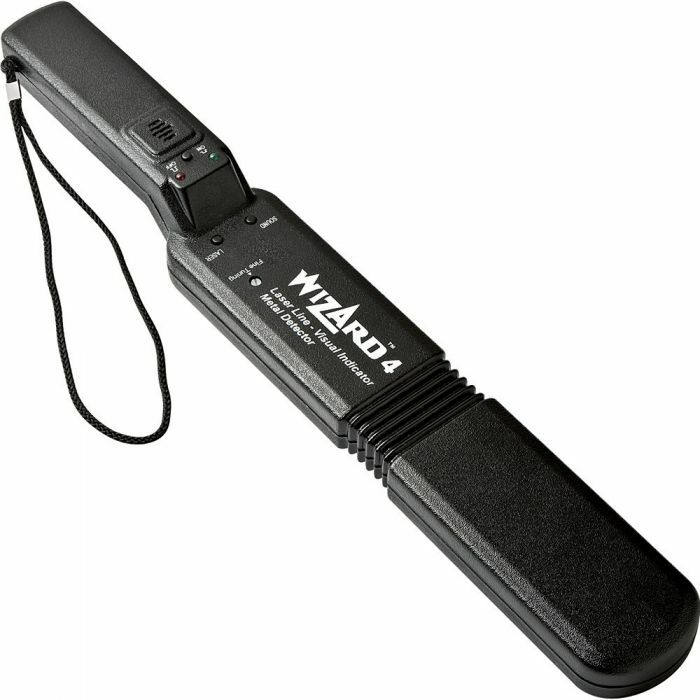 Battery operated metal detector gives you up to 40 hours of use on one 9-volt battery (battery not included). Also has a headphone jack or audio alerts using an earplug or headphones (both not included).